All JEREMY POINT GOLF homes currently listed for sale in Park City as of 04/21/2019 are shown below. You can change the search criteria at any time by pressing the 'Change Search' button below. "Nestled on the hillside of the Jeremy Ranch Golf Course, take in the sweeping views of the mountains and the 18th green. This rarely available end unit has an inviting design and spacious layout with main level living, a chef's kitchen with Viking Appliances, beautiful walnut floors, and a second family room and game room on the lower level. This is the perfect floor plan for a primary or secondary residence, easy townhome living with the elements of a custom home. 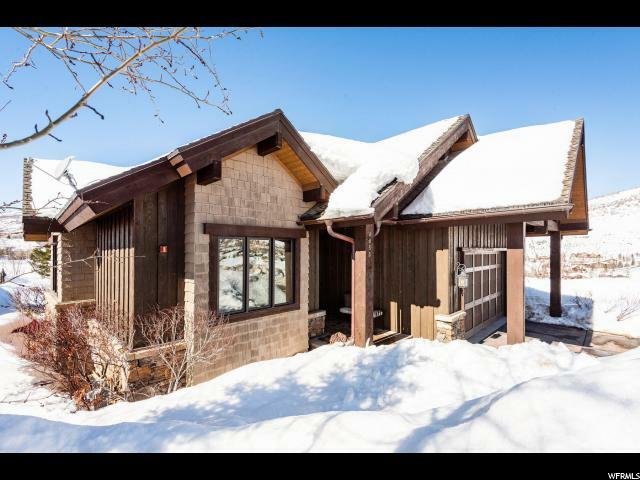 Conveniently located 15 minutes to Main Street, Park City and 25 minutes to Salt Lake International Airport."